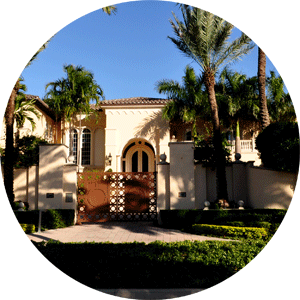 Gated community of 40 luxury tri-level townhome villas for sale in the Coconut Grove Miami. Spacious Cloisters Villas built around 2005 offer 5000 to 7000 square feet of living space residences and garage parking for two cars in each unit. 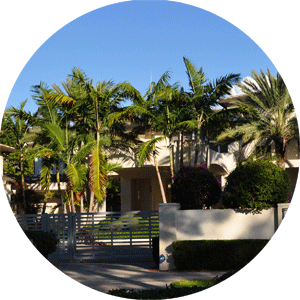 Secured gated community centrally located in Coconut Grove, just off Main Street Greenstreet Cafe. Community features pool, clubhouse, and tennis court and offers residences amenities not found in some of the Coconut Grove other developments. Located just off Main High Way not far from the bay, Villas offer private elevators and rooftop access with bay views. Walk to the nearby restaurants and cafe like Greenstreet, ride your bike through tropical treelined streets or enjoy the game of baseball at the Peacock Park. Conveniently located to all of City amenities and major roads, Cloisters on The Bay townhomes are a very desirable place to live in Coconut Grove Miami. Please Contact Us or give us a CALL 786-505-4786 if you have a question about the Cloisters on The Bay Villas for Sale in Coconut Grove Miami. Cloisters On The Bay Bldg.